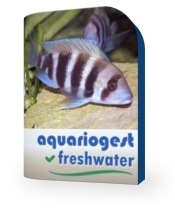 AquarioGest is the accomplishment of a dream fulfilled by tropical fish hobbyists who are also professional programmers. First of all, we invented AquarioGest software to organize and simplify the management of our own tanks. AquarioGest is now available for you. It was concieved to aid the beginner or the experienced freshwater enthusiast, in order to bring ease and success in the fulfilment of your passion ! We wish you great success with AquarioGest ! BF-Info Company has been established to promote AquarioGest Software, by supporting us, we will maintain the development of this software.